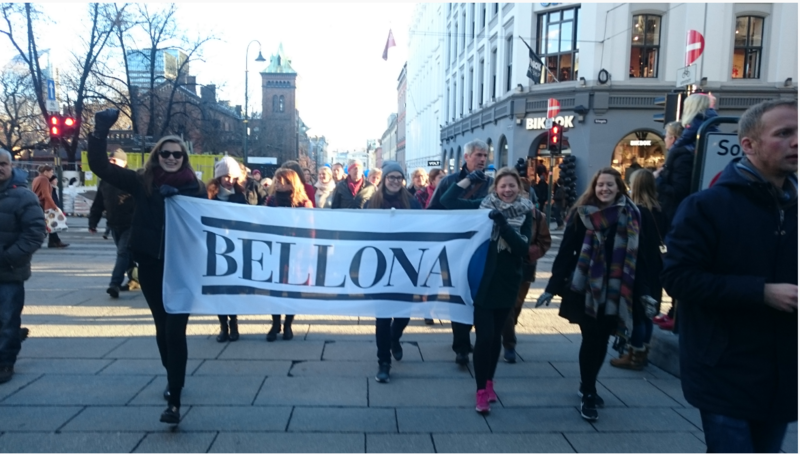 While the climate summit in Paris resulted in a historic climate agreement, Bellona sees no historical value in Norway’s recently adopted state budget for 2017. – In light of the Paris Agreement and the record high temperatures that are being observed across the globe on a near daily basis, this is a historically weak budget, said Bellona President Frederic Hauge. – Our job has gone from looking after the business community together with politicians, to looking after politicians together with the business community, he says. Judging from the current budget, Skei Grande and Knut Arild Hareide have a daunting task to secure enough funds to make this a climate and environment budget. Robert Watson, former chief of IPCC, recently stated that it is nearly impossible to avoid more than 1.5 degree warming, and that climate change is happening at much faster pace than most realise. – In light of the Paris Agreement and the alarming warming trends this state budget is simply inadequate. Things are moving much faster than we thought. This is a situation where the leading politicians must step up their efforts and take responsibility. When will Erna Solberg act as a government leader? says Hauge. The Norwegian government measures emissions from cars using the so-called New European Driving Cycle (NEDC) test. The Dieselgate scandal has helped in confirming the NEDC as outdated and not reflecting the actual on road consumption. At best it obscures reality. Emissions from passenger car traffic have increased and will increase further with the current policy. Approximately 170,000 new cars are sold in Norway, and in 2016 we witnessed a decrease in electric vehicle sales for the first time in five years. – This does not bode well for achieving the decarbonisation objectives in the transport sector, says Hallstein Havåg, Director of Policy at Bellona. Greenhouse gas emissions from transport in Norway are likely to continue increasing until 2030, according to projections in the state budget for 2017. Transport emissions are expected to rise to 16.1 million tonnes in 2030. This is an increase of 4.5% from 2014. Compared to 1990, we are talking about an increase of 28.8%. In the proposed state budget, the government underlines that the projections do not take into account the changes that have occurred over the past two years. Regardless of this, the numbers are a testament to the gap in the Norwegian climate policy. – The vehicle taxes are an admission of the government’s failure . This clearly shows that Siv [Jenssen, Minister of Finance] and Erna [Solberg, Prime Minister] are neither able nor willing to propose a climate policy that works, adds Havåg. Bellona expects no major changes in these figures when the governmental policy proposal is published next year. – Sales of electric vehicles have levelled off over the past year, and the increase of petrol and diesel tax has no visible effect. It adds up to a much weaker incorporation of sustainable biofuels than necessary until 2020, and it does not put in motion measures in other parts of the transport sector. Norway must cut at least 40% of its emissions until 2030. This represents annual reductions of around 3.7% per year over the next 14 years. Instead, the Government plans to cut about half of this during the entire period. Bellona believes the numbers are quite clear and that it is meaningless to talk about a green shift. – The Government fails to adhere to the Paris Agreement, the agreement with the EU, and Parliamentary climate agreement from 2012. The climate objectives of the National Transport Plan and objectives of the Energy Report are impossible to follow up. We must conclude that Norway no longer has any climate policy, says Havåg. What is done with the car taxes is ridiculous, but even more ridiculous is that nothing is done with the outrageous subsidies the oil industry enjoys. – The Ministry’s budget shows that the Goliat development costs NOK 18.2 billion [approximately 2 billion Euros] more than the Norwegian parliament approved for its development and operation. The taxpayers must cover 78% of these, i.e. NOK 14 billion [1.5 billion Euros]. Changing the regulatory framework so that the state does not cover transgressions of the scale approved by Parliament, is one of the most obvious measures that could be undertaken to reverse the transition from the oil age. According to Hauge, this is a much more important discussion than the gasoline discussion politicians are having. He believes that this amount could have provided equally large returns if it had been invested in batteries. – This is a discussion that is completely lacking in the state budget, says Frederic Hauge. – It is enraging that Vidar Helgesen allocated a few tens of millions of Kroners to environmental technology, when the really big money goes into the fossil economy, says Hauge. On Friday 31 September a leak of the budget was released stating that the government would allocate 360 million for concept studies related to three CCS projects. – We are obviously very pleased that the choice is made to pursue all three pilot projects. This puts Norway in a unique position internationally in dealing with emissions reductions from industry, and our efforts are going to be crucial for the development of CO2 management globally, says Sirin Engen, Bellona’s CCS Adviser in Norway. – However, we note that the fund allocations for CO2 storage decreases from NOK 2.2 billion [244 million Euros] in 2016 to NOK 1.3 billion [144 million Euros] in 2017. We find it hard to see that CO2 management is “one of the government’s five priorities in climate policy,” which Tord Lien claims in the press release of the Ministry of Petroleum and Energy, says Engen. The Norwegian government will allocate only NOK 28 million [3 million Euros] next year for a thorough clean-up at the nuclear waste disposal location Kjeller. IFE (Institute for Energy Technology) itself had requested over NOK 60 million [6.6 million Euros] for this urgently needed measure in 2017. Bellona fears that this lack of funding from the government will further aggravate the critical situation at the two storage facilities for spent nuclear fuel, where a water leakage has been detected. The state budget envisages that “the size of the annual contributions from the government will depend on progress in clearing up and is determined in connection with the annual budget process.” Bellona sees this as unacceptable and fears that the Norwegian nuclear clean-up in the years ahead will increasingly become a balancing item. We need to see a longer-term commitment by the government connected to the funding of these important clean-up efforts. Bellona President Hauge believes Enova has to an excessive extent become a tool for “first of a kind” investments. It is obviously important to support technologies, right at the start, but today Enova works too much to create pilot projects instead of deploying large-scale climate technologies. Short-term cost-effectiveness is over-emphasised in the current climate discourse, Bellona argues. – We must be willing to pay a far higher abatement cost per tonne of CO2 in Norway than the quota price, says Hauge. – If a technology with great potential is being considered, one should accept an abatement cost in Norway at least five to ten times higher than the quota prices. The way the climate policy works today is that we spend money in many other countries outside of Norway, although it will be good for the climate and the economy in the long term to deploy technologies in the domestic market. For the original article (Norwegian) see here.